We have a big island (you should see the fridge)! 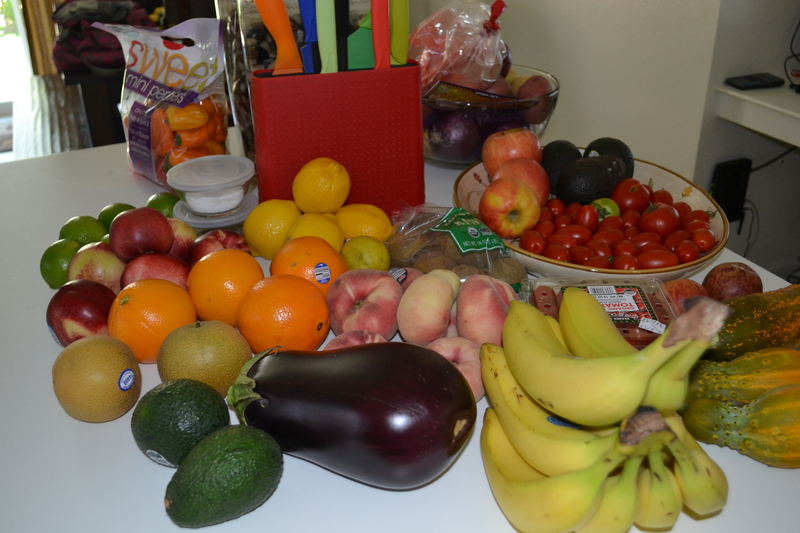 This entry was posted in Kitchen and tagged Fruit, health, Vegetable by livinglikelinds. Bookmark the permalink. Wow, is all of that organic? I have peaches, cucumbers, grape tomatoes, better boy tomatoes, apples, oranges, ranier cherries, yellow squash, yellow onions. Not too bad. Are we in a little fruit/veggie competition mom? Ha, I wonder where I get it?! 🙂 I couldn’t find Rainier cherries last weekend 😦 I hope the season isn’t over yet, I need another batch! No, not everything is organic, I would say about 1/2 of it is. I always try, but it isn’t always possible for me.